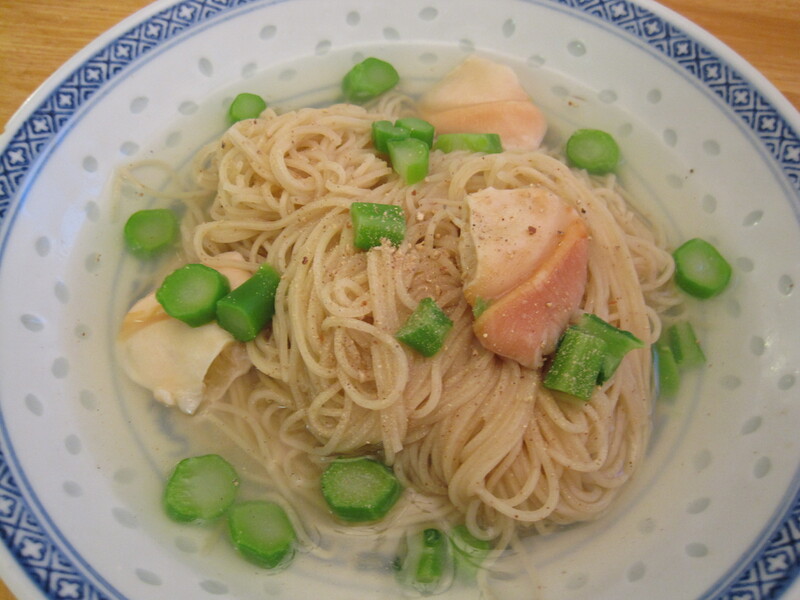 Thin, shrimp flavoured noodles are used in various dishes in Cantonese (Chinese) restaurants. They come dried, in little bundles (1 or 2 per serving) and cook just as quickly as instant noodles. So they’re perfect for quick and delicious one pot meals. If you’ve never had these before, I should inform you that they don’t actually taste like shrimp. They have a subtle, unique, and indistinguishable flavour that, in my opinion, makes them addictive. You can serve them in soup (but eat them quickly before they expand and get mushy) or “dry”. Like they do in restaurants, dressing these noodles can be as simple as drizzling with oyster sauce. I usually treat them like healthy “instant noodles”, but this time I fancied them up for dinner. I also like eating these noodles dry with fish balls and boiled lettuce (recipe here). Photo below: This is my family’s favourite brand of shrimp flavoured noodles. Notice that these are very thin noodles. In a medium sized pot, bring 2 cups of cold water to a rolling boil over high heat. Add the noodles and cover the pot with a lid until it returns to a rolling boil. 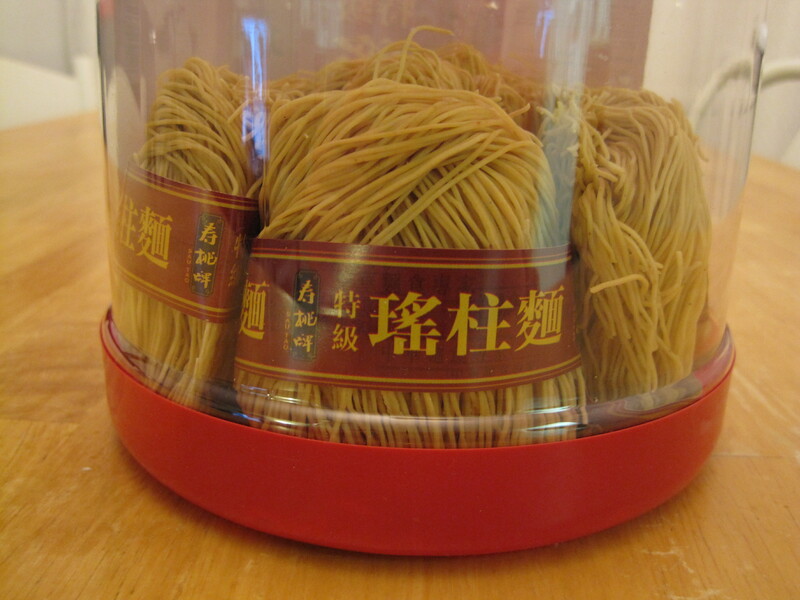 Then remove the lid, loosen the noodles with chopsticks, and let cook as per the package directions. One to two minutes before the noodles are expected to be done, add the broccoli and clams and cook until the noodles are done and the broccoli is tender but still crisp. Do not overcook the noodles or else they will expand and become soggy. Transfer the noodles, broccoli and clams into a large bowl and ladle some of the now flavourful boiling water over the noodles. Add dashes of white pepper to taste and a drizzle of oyster sauce (if using). Serve and enjoy immediately.